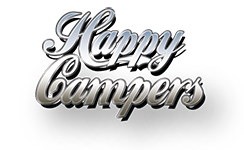 The Happy Campers Grand Tourer 4 berth model is currently the most popular camper in our range and is an ideal choice for families. It can carry up to 5 passengers and can sleep 4. 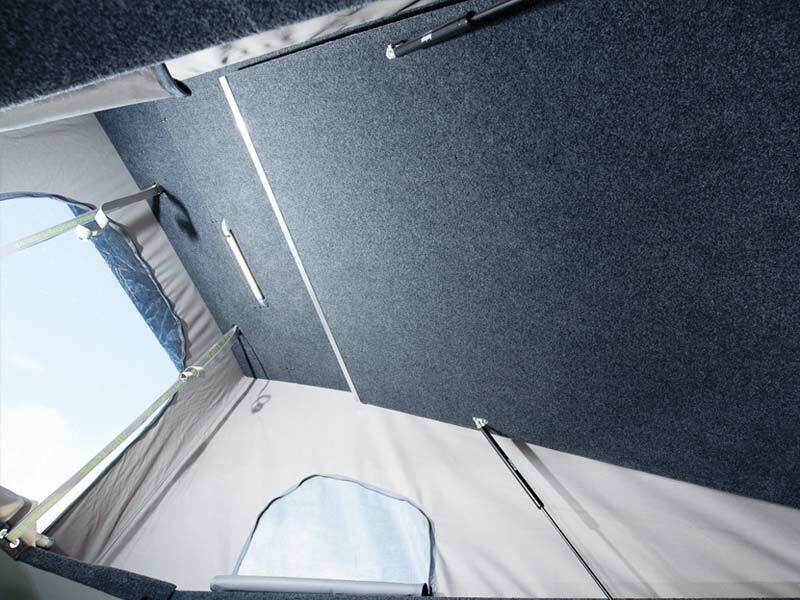 It includes a front elevating roof which provides up to 8ft of standing room inside the vehicle. This easy to operate roof looks great on the vehicle with its slim profile and sleek finish and we can colour code the roof to any non-metallic colour at no extra charge. 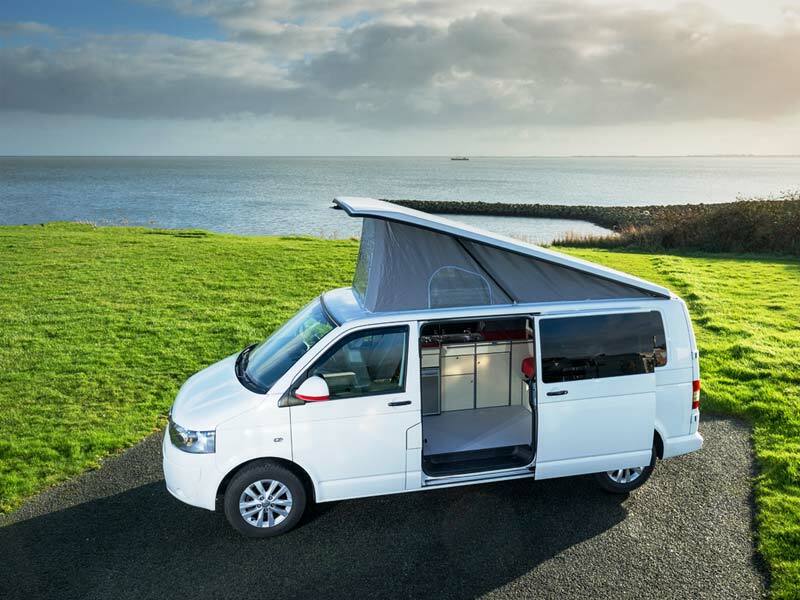 The roof canvas has windows and air vents. The integrated bed system and mattress provides sleeping for 2 people. In this package, we fit the RIB Altair 112cm Seat/Bed with 2 seat belts. These beds are supremely comfortable for travelling and sleeping. 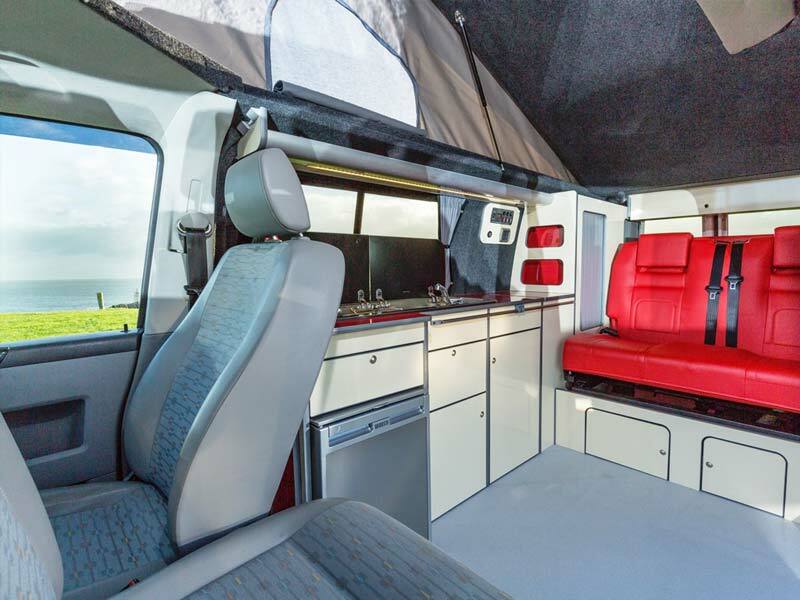 As with all our conversions, the camper interior will be exquisitely finished throughout, with a choice of colours and materials, and comes fully equipped with everything you need for life on the open road. *Prices above are based on the customer supplying the vehicle for conversion. 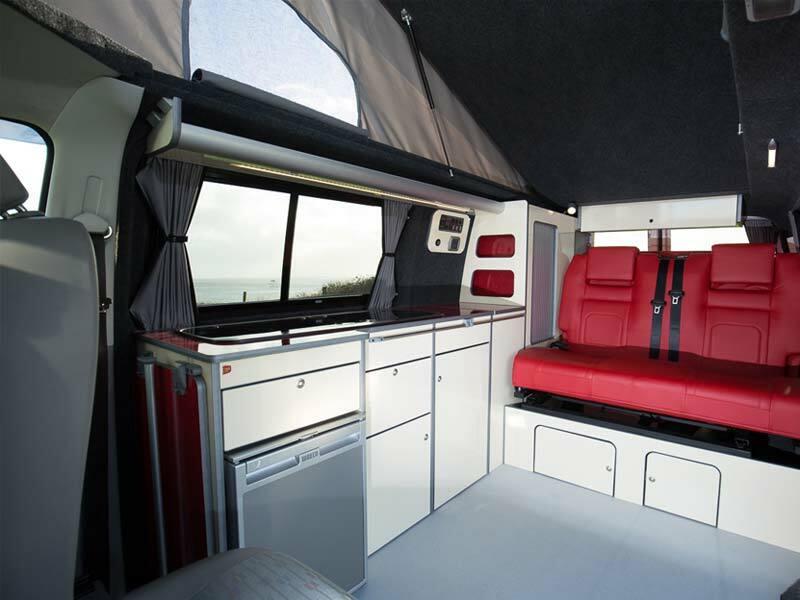 If you would like a price for a new completed T6 campervan, then please contact us. We would be happy to speak with you. All prices are inclusive of VAT.